Most of us here in this forum are blessed with good jobs, able to afford car and above average salary. I believe in 取之于社会, 用之于社会. Whatever we earn from the society, we should give some back to the society. funding and also public donations. which is less well known to the Public. This is also the purpose of this thread. I hope people here can help to donate any amount to help these people and cases at https://rohi.sg/case/list. 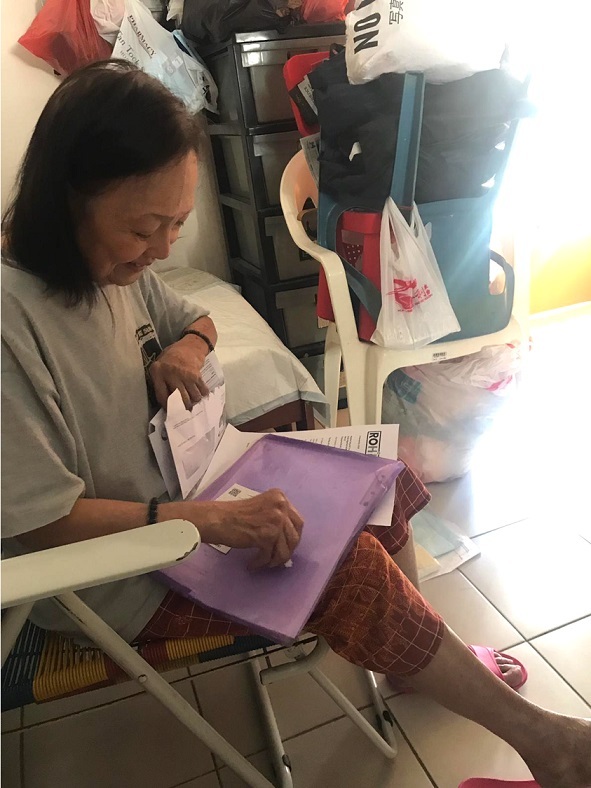 Previously, ROHI has helped raise $1,000 for the living expenses of 78-year-old Madam Yang (https://rohi.sg/case...rly-grandmother). Although we were heartened to hear that the family is now reunited after her daughter’s discharge from the halfway house, there are more issues for Madam Yang to be worried about moving forward. Madam Yang’s health has also taken for a dip and she still suffers from the side effects of her medications. She often suffers from swollen joints as a result of her arthritis. Recently, her right toe was also amputated as there was a growth on it. The real struggle comes when Madam Yang, who is a Malaysian is not entitled for medical subsidies and grants. Madam Yang told us that even with the $600 Guardian Care Assistance that she receives every month, the assistance is insufficient to cover the family’s expenses, especially when she needs to visit the hospital multiple times a month. Quoting Madam Yang, “To me, receiving treatment is never a priority. I would rather spend the money on my family”. When the case workers first met Madam Yang, she told us how helpless she feels, especially when she is not in the best state of health to work. Apart from her long list of medical conditions that include severe arthritis, breathlessness, high blood pressure, high cholesterol and suspected digestive and throat issues, she is also the main caregiver to her 14-year-old grand-daughter as her daughter is struggling with stage 2 leukemia and depression. Even with so much to handle, a resilient Madam Yang chose to remain positive and remains positive for her family. ROHI would like to raise $1,700 to help the elderly grandmother with her arrears (Medical, Town Council and SP Services - $450) and living expenses ($250 x 5 months). Payment for Madam Yang’s arrears will be made to the relevant agencies directly. Edited by Mahjong74, 06 April 2019 - 03:42 AM. Edited by Tianmo, 06 April 2019 - 02:42 PM. what is the procedure for them to apply for tax relief ?